the taste is their universal brand. 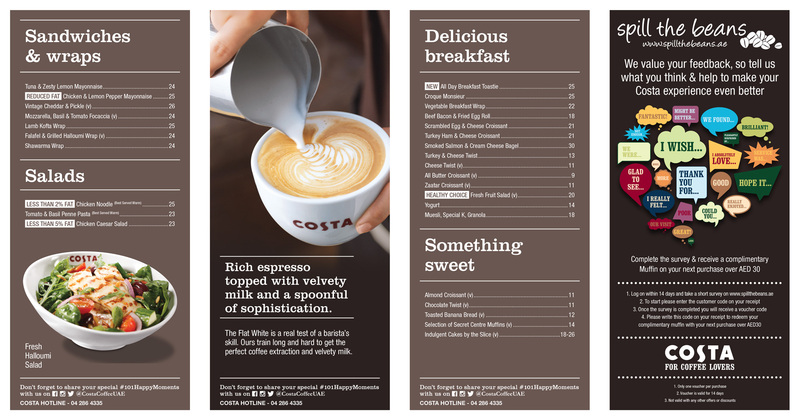 costa coffee prides itself on the consistency of the moca italia blend, the mr.h team ensured that the same amount of care was taken with their brand image. creating and adapting all in store point of sale, marketing collateral and promotional items for the UAE market. mr.h team ensured that the same amount of care was taken with their brand image. creating cube card and adapting all in store point of sale, marketing collateral and promotional items for the UAE market. A small but mighty coffee. A rich, intense cup topped off with textured milk. 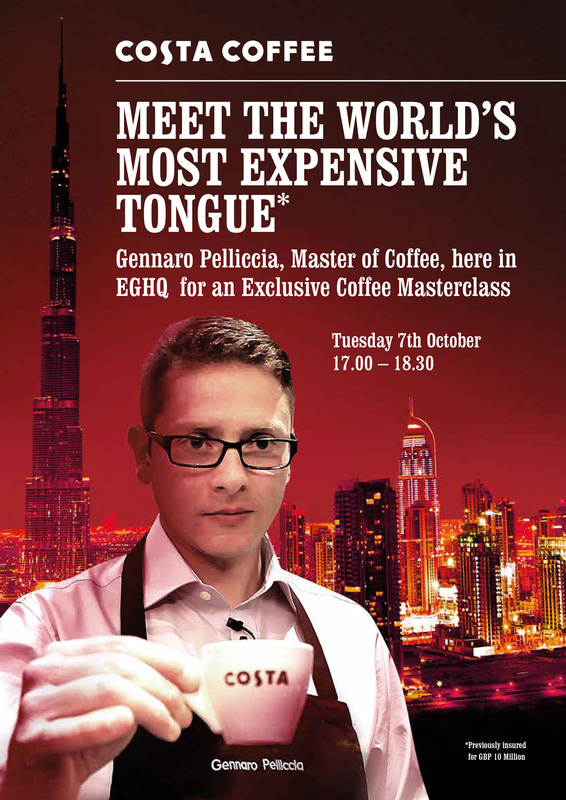 It packs the biggest punch of all our coffees. To finish, we sign it off with some signature coffee art.